Today’s post on differentiated instruction is part of our Fair is Not Always Equal…Now What? blog series. Stay tuned for more posts that show you how to teach and reach every learner in your classroom! Research shows that differentiated instruction is one effective method for meeting the needs of all learners. But if you’re teaching a classroom with 30 diverse students, all of them with different strengths and needs, it can be hard to know where to begin. 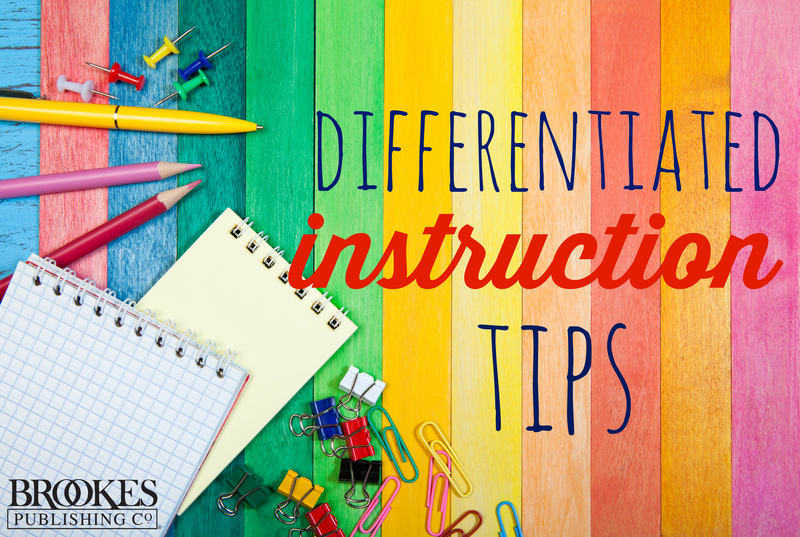 Adapted from the book Quick-Guides to Inclusion, edited by Michael Giangreco & Mary Beth Doyle, today’s post lays out 7 principles of differentiated instruction and provides classroom examples for each one. It gives teachers new to differentiation a jumping-off point for their instruction (and it’s a great source of ideas for educators who already differentiate). All students want to contribute, be respected, and be cared about. Your classroom will provide fertile ground for helping students learn how to value differences, appreciate commonalities, and come to deeper understandings of such complex issues as fairness, cooperation, equity, and justice. A fifth-grade teacher establishes expectations in context of teaching about the preamble of the U.S. Constitution. After learning about the purpose, the students create their own preamble–one that will guide their behavior throughout the year. In a first-grade class, students identify four to five classroom expectations. The students then work in small groups, with each group painting a picture of classmates following the expectation successfully. For example, one group paints a picture titled “This is a picture of us taking turns.” The pictures are displayed in the classroom and visually remind the students to follow their expectations. A high school biology teacher provides his students with information about learning styles and multiple intelligences as a way of increasing self-awareness. He encourages his students to form lab teams composed of students with complementary strengths. All students learn to use their learning profile to guide choice making and to enhance reflection. Creating a “working-with” classroom environment means that teachers and students share decisions about instructional activities, routines for accomplishing classroom tasks, ways in which students might work together, and how students can demonstrate their learning. Teachers who create “working-with” learning environments encourage students to build responsibility for monitoring their work habits, making choices to enhance their learning, self-assessing their quality of work, and helping make decisions about how the overall classroom is functioning. Students take an active role in their own learning! A second-grade teacher asks students to reflect on their progress toward important benchmark skills and establish a goal to assist them in making progress toward mastery. During a fifth-grade class meeting, a teacher asks her students to discuss how different tasks might be assigned in order to complete a cooperative group project. An eighth-grade teacher frames the targeted learning outcomes for an upcoming unit and asks her students to work in small groups to brainstorm instructional activities that would assist the students in reaching their benchmarks. A high school government teacher asks each of her students to select two peers who will provide feedback on the student’s semester project. In fair and equitable inclusive classrooms, the general curriculum must be accessible to all students, regardless of their challenges or learning styles. As teachers plan how to ensure accessibility to the curricular content, they should consider a variety of options for differentiation–both in the depth and breadth of content, as well as how each student best acquires the content. In a science unit on insects, a third-grade teacher encourages some of her students to explore how different insects adapt to environmental factors. Her plans for other students involve identifying familiar insects and investigating their characteristics. A few students will spend several days in the library doing research. In preparing for the unit, she gathers a tub of varied resources that include grade-level reading material, resources rich with photographs and light on words, several audiotapes, a list of websites, and several 3D models of insects. In collaboration with a special education colleague, she has also included a teacher-made “unit dictionary” that captures essential vocabulary words and concepts. In creating access to a standards-based curriculum, a middle-school language arts teacher focuses on a monthly theme or question in his literature units–for example, “Does courage always involve sacrifice?” Students choose to read a variety of novels or short stories that capture the theme of courage. This allows for accessibility to the curriculum, both in readability levels as well as student interests. While all students are expected to respond to a set of questions from the perspective of the main character as well as their own perspective, the teacher and his students negotiate several acceptable options for the format of response. Both visual and linguistic options are offered. This allows for accessibility to the curriculum based on students’ learning preferences. Differentiation is all about creating multiple pathways for learning. Standards provide the targets for learning, and differentiated instruction provides the various routes through which students attain mastery of identified learning outcomes. Teachers should continually expand their instructional repertoire in order to better meet the diverse needs of students. Examine the instructional strategies currently in your instructional repertoire. Start with just a few of your favorite strategies and push yourself to incorporate greater differentiation within those strategies. Don’t forget to use your specific students as resources; they can share responsibility in suggesting various routes to a common destination. A student who is still learning English uses a sequential graphic organizer to identify aspects of setting. This student also has access to a picture dictionary to assist with the language demands of the task. Another student uses a software program that provides a list of descriptive terms and then creates a web of categories. Two other students work together to create an alternative setting and then analyze how the new setting would alter the story. After all the students have had opportunities to understand setting, the teacher facilitates a large group activity in which students share their understanding of the role of setting in literature. Assessment and differentiation are integrally linked, and both should occur throughout instruction. Assessment informs both the teacher and the student of the current level of understanding, progress, effectiveness of teaching and learning, and areas in need of improvement or enrichment. Formative assessment, done at the beginning of instruction, informs a teacher as to the range of “starting points” for each student. Summative assessment, done at the end of instruction, provides feedback as to how well students have mastered learning outcomes. In the spirit of differentiation, summative assessment should also allow for individual differences and strengths. Be creative, think inclusively, and ask students how they can best demonstrate what they have learned. A written paper-and-pencil assessment doesn’t work for everyone! A second-grade teacher encourages students to begin a unit by brainstorming ideas about a particular concept. She then creates a class web to help students begin to sort and label aspects of the concept. Not only are the students able to benefit from the background knowledge of their classmates, the teacher is able to informally assess what her students know about a particular topic. At the beginning of a science unit, a middle school teacher asks her students to write a best-guess definition of the word “catalyst.” Based on their responses, the teacher designs a differentiated activity at the beginning of the unit that allows each student to work from his or her starting point. A sixth-grade teacher helps her students self-assess their progress on a four-week project by creating a “benchmark timeline” of weekly tasks. At the end of each week, students initial the timeline, indicating where they are in the task sequence. Each week, students initial with a different color pen. This visual aid provides a picture of progress, as well as indicating to the teacher which students might be having difficulty with task pacing. Differentiated instruction changes the roles of students as well as teachers. In differentiated classrooms, students are active participants in the learning process. Student responsibilities include demonstrating such skills as: 1) making effective choices, 2) being self-directed, 3) organizing learning materials, 4) following directions, 5) completing tasks, and 6) working cooperatively with classmates. When teachers provide many guided opportunities for students to build competence and confidence, students develop the skills they need to be productive and responsible learners. Remember–providing choices to students is a powerful motivator! A first grader might complete the “must-do” activity at the learning center and then choose between two “can-do” learning center activities. Elementary students might be taught to follow a learning contract, in which tasks are specified but each student selects the order in which he or she completes the tasks. A fourth-grade student might select three activities from a menu of nine activities in order to increase his understanding of the Underground Railroad. A fifth grader might be asked for input about a classroom seating arrangement. Middle school students might develop a list of resources necessary to complete a multi-faceted assignment. A seventh grader might meet with his teacher to select a culminating project at an appropriate level of challenge. A high school student might select which projects to include in his art portfolio. A high school student might take the initiative to meet with a teacher in order to self-advocate for a helpful instructional accommodation. Reaching and teaching all of your students can feel like an overwhelming task. Developing some simple routines for organizing and managing your differentiated classroom will make everything go much smoother–and clear a path for more effective learning. Have students practice “organizational logistics.” Provide opportunities to practice the simple things (e.g., moving between learning centers, obtaining materials, utilizing cooperative role cards, putting supplies away). This can help the instructional activity go more smoothly. Develop set routines for giving directions. Multiple tasks, often requiring different directions, can be confusing. Establish routines that simplify directions. Color-coding works well. For example, teach students that if they are in the blue group, or are working on the blue set of tasks, then the materials are in the blue folder and the directions are written in blue on the overhead. Give students responsibility for being accountable. You don’t have to feel responsible for everything! If students in your class routinely turn in assignments, put them in charge of record-keeping. Simply attach a list of student names to the outside of the assignment folder. As students turn in assignments, it is their responsibility to check off their name. Use your students as resources. Designate class experts who can offer assistance to classmates. Implement an “Ask three before me” rule to encourage students to seek out classmates for help. Put your classroom community of teachers and learners to work! Set yourself “off limits” from interruptions. During set times throughout the day (e.g., when you’re facilitating a small instructional group), let the students know that you are not to be interrupted. Wear something colorful and easily noticed as a reminder: Mardi Gras beads or a colorful hat or headband. 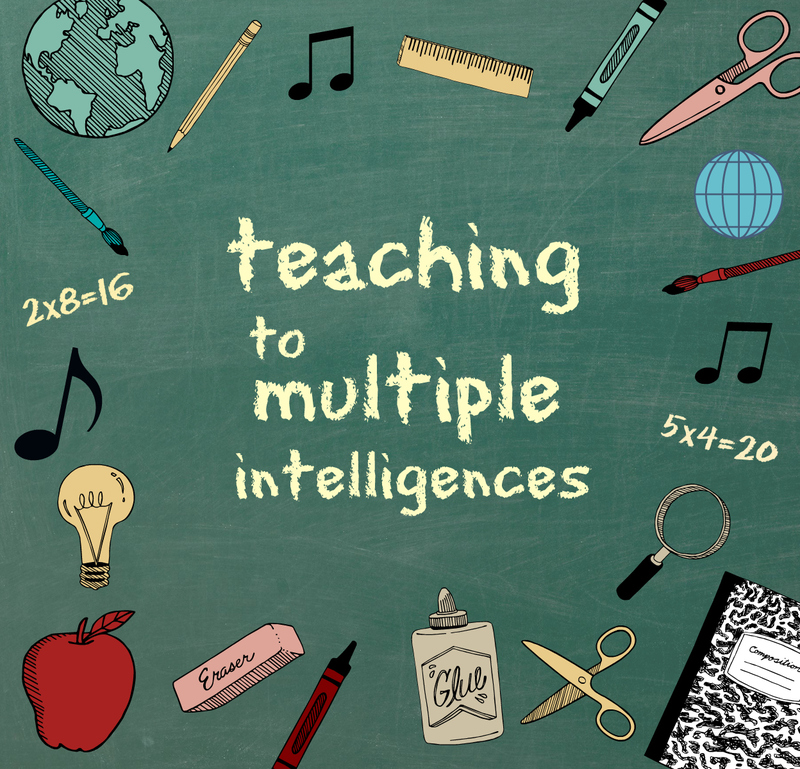 Discover tips on differentiating instruction for multiple intelligences in this popular blog post. Includes specific suggestions for differentiating during science, math, and history! 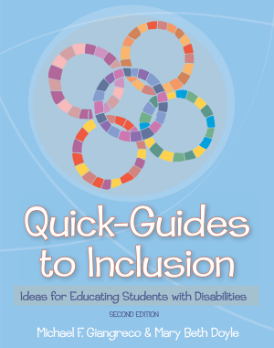 Pick up Quick-Guides to Inclusion for fast, friendly, and practical guidance on including students with disabilities in general education classrooms.